Richard Todd with his wife Catherine and ‘Baron’ their dog. Richard and Kitty were married in 1949 at St. Columba’s church, Pont Street, Chelsea. They had two children Peter and Fiona. 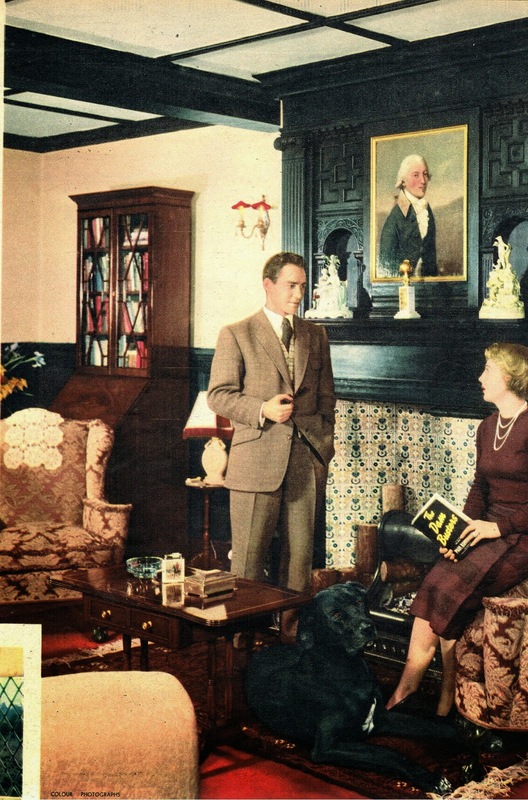 From the article it appears that Wayside House was in a bad state of repair when the film star and his Scottish wife first purchased it. 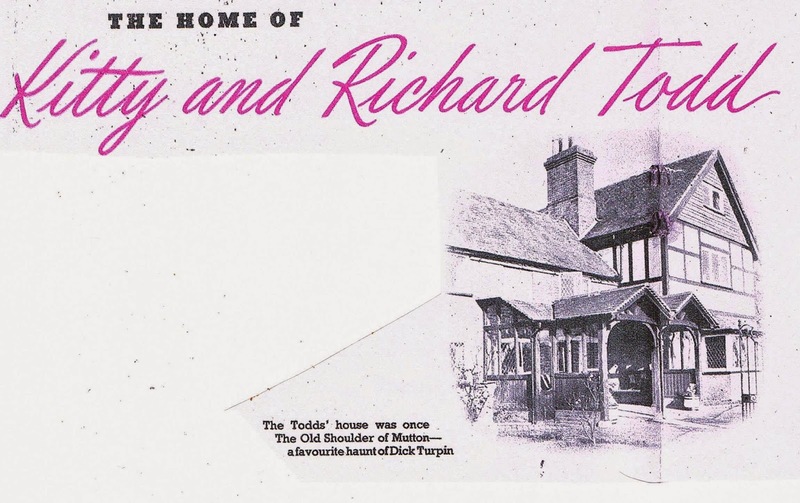 The magazine reporter Edith Blair, goes into great detail about how Richard and Kitty spent many weeks rubbing turpentine and linseed oil into the wooden beams and eventually furnishing their new home. Richard and Kitty became the owners of Wayside House (their first house) at the end of September 1950. The following spring, Richard commenced filming of The Story of Robin Hood and His Merrie Men at nearby Denham Film Studios. Angus Lennie, the diminutive Scottish actor who played the “tunnel man” known as the Mole in the 1963 prison-camp movie “The Great Escape,” died on Sunday September 14th 2014, in a London Nursing Home. He was 84. Mr. Lennie, who was not quite five and a half feet tall, was born in Glasgow on April 18, 1930, and began his career in show business as a dancer and a stand-up comedian. As an actor he was known in Britain for his appearances in numerous television series, but especially as Shughie McFee, in the very popular English TV series Crossroads. He later appeared on Television in Doctor Who – at that time being played by Patrick Troughton – and in more recent time in Monarch of the Glen. Above – Angus Lennie and Noele Gordon in Crossroads. I wonder what year these would be for sale – probably early 50s OR late 40s even. They do look appetising. Wonder if they are still on sale in the USA. 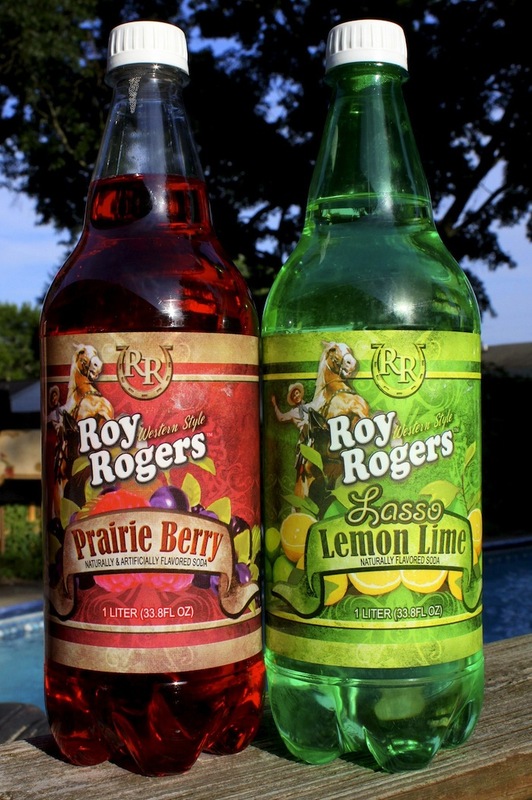 Prairie Berry and Lasso Lemon Lime. The other flavours not pictured are Sasparilla and Orange Wrangler. 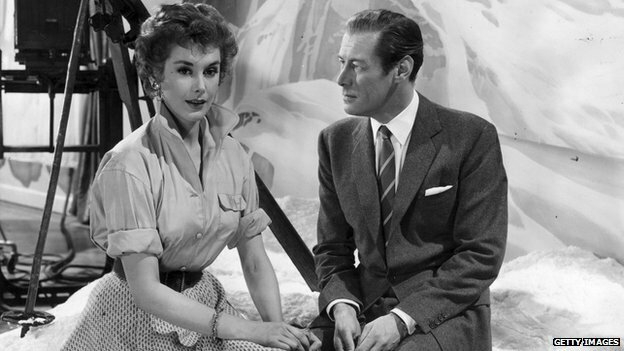 Kay Kendall married British actor Rex Harrison in 1957 after they met filming The Constant Husband in 1955. A blue plaque commemorating film star Kay Kendall has been unveiled at her birthplace of Withernsea in East Yorkshire to mark the anniversary of her death. Kay Kendall, who starred in films including Genevieve and Doctor in the House, died of leukaemia in 1959, aged 32. The plaque, at her former home in Hull Road, Withernsea, was unveiled by her older sister Kim Campbell. Kay Kendall married British actor Rex Harrison in 1957 after they met while filming The Constant Husband in 1955. The unveiling was organised by The Music Hall Guild of Great Britain and America and The Theatre and Film Guild of Great Britain and America. Tony Simpson, manager of Withernsea Lighthouse, which houses a Kay Kendall museum, said: “I think it is very important for Withernsea that we have this plaque. “Kay was quite a remarkable woman. 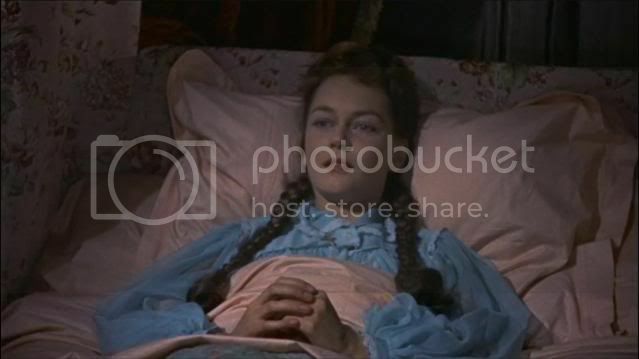 She was a very popular film actress both in the UK and the US. Withernsea is a seaside resort town in the East Riding of Yorkshire, England. Its most famous landmark is the white inland lighthouse rising around 127 feet above Hull Road. The lighthouse – no longer active – now houses a museum to the actress Kay Kendall who was born and grew up in the toen. The Prime Meridian crosses the coast to the north-west of Withernsea. 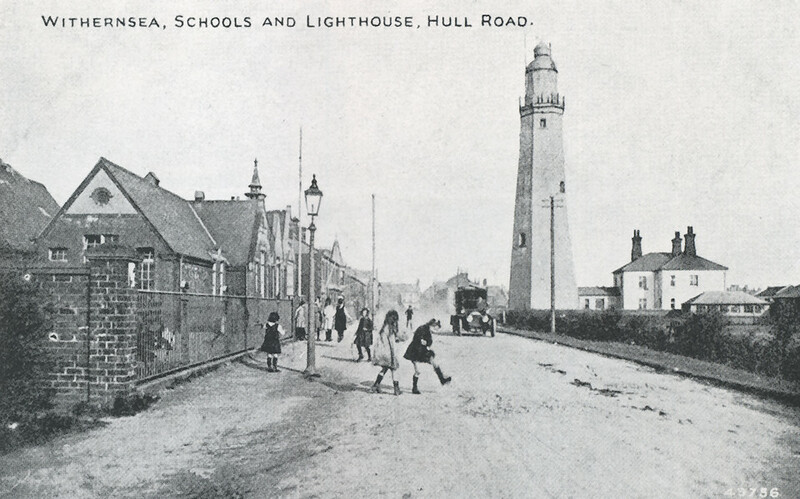 Withernsea parish had a population of 6,159. 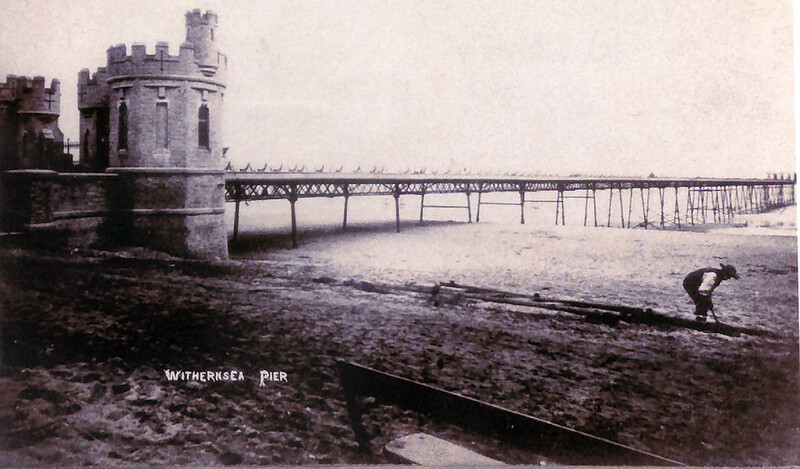 Withernsea is mentioned in the Domesday book completed in 1086. According to the listing, the population consisted of 14 villagers, 7 smallholders, 10 freemen and 2 priests. By the mid 15th century the original village of Withernsea was washed away by the constant errosion of the sea. The villagers moved further inland and started to build a new Withernsea where the town is today. In 1488 a new church was begun on the site of the present St Nicholas Church. The church was abandoned in the early 17th century after the roof was destroyed in a storm. In 1858-59 the church was restored. The church is built of local cobble collected from the beach. 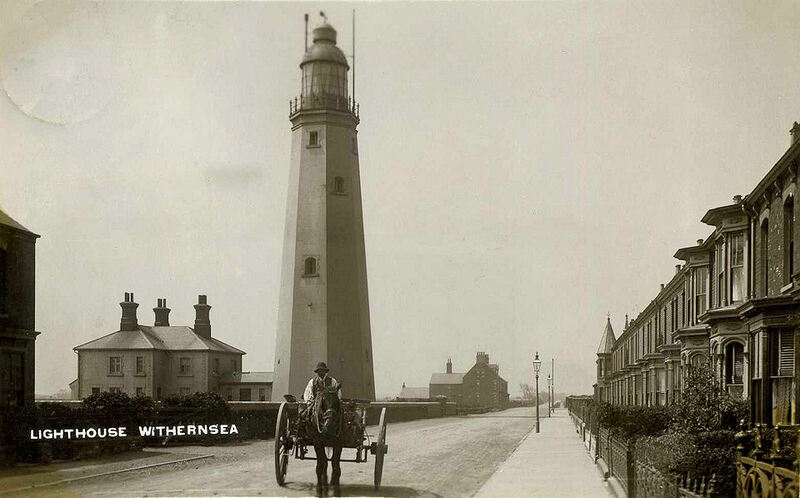 In the pre railway days Withernsea was a small village with a population of about 120. In 1852 Anthony Bannister proposed building a railway line to link Hull with the rich agricultural area of South Holderness, and to develop Withernsea into a new seaside resort. 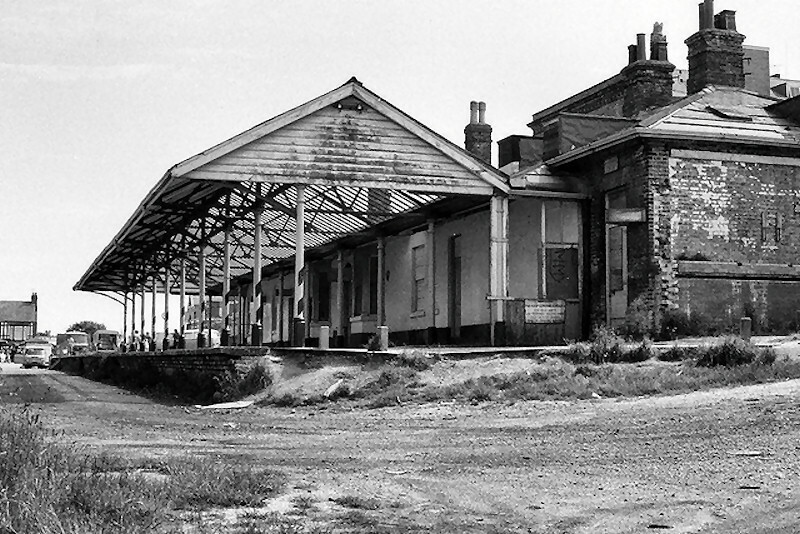 The railway line was constructed as a single track line between Withernsea and Hull Victoria Dock station. Construction of the line in the flat and open Holderness plain was rapid and the line of 18 miles had it’s grand opening on the 27th June 1854. 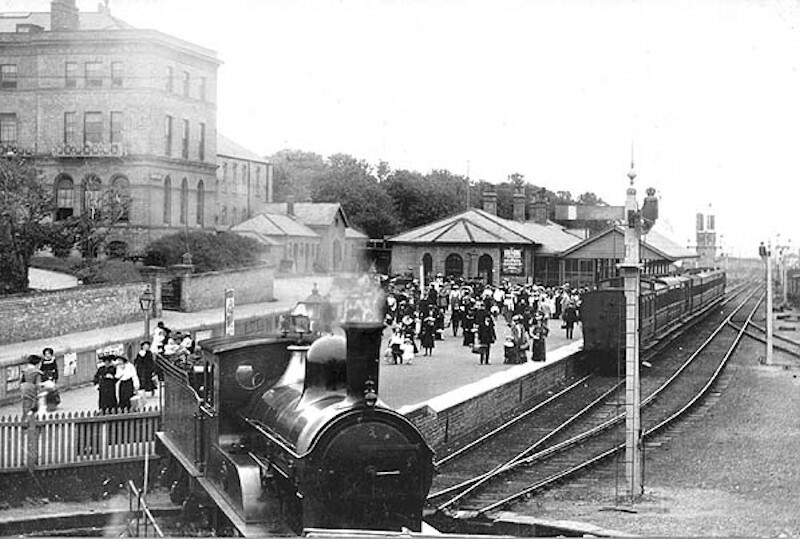 With the railway, commuters were conveyed to work in Hull, but more importantly for the town, it provided a cheap and convenient holiday for Victorian workers and their families who came to Withernsea in their thousands. In 1855 a prestigious three storey hotel was opened next to the station to accomodate the hoards of new holiday makers. The hotel was used as a hospital/convalescent home after 1902, with patients taking advantage of the clean fresh sea air. 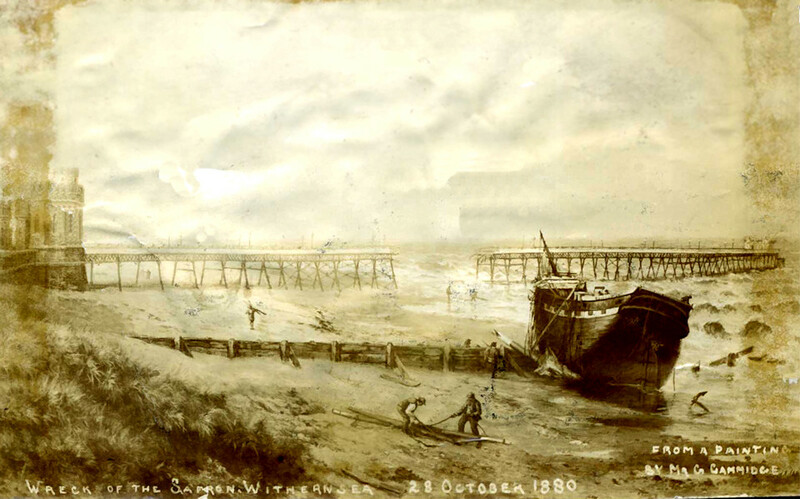 Work began on Withernsea Pier in 1875 with Thomas Cargill as the engineer. By August 1877 the work was completed having cost £12.000 to build. It opened in 1878 charging 1 penny for admission. At the pier entrance, a large castle gataway was errected, and its ornate iron girders reached 1196 ft across the beach out to sea. The pier suffered damage in the great storm of 1880 when the coal barge “Saffron” punched a 200ft hole through the middle, and the “Jabez” hit the end of the pier. Many ships collided with it over the next few years. In 1890 it was hit by the fishing boat “Genesta” destroying more than half the pier. In 1893 it was struck by the Grimsby bound Henry Parr. The piles of the pier were knocked down span after span until there were only 50ft remaining of the once grand pier. In 1903 the last remains of the pier were removed during the construction of the sea wall and the promenade. All that remains today is the Pier towers and a model of the pier on the promenade. 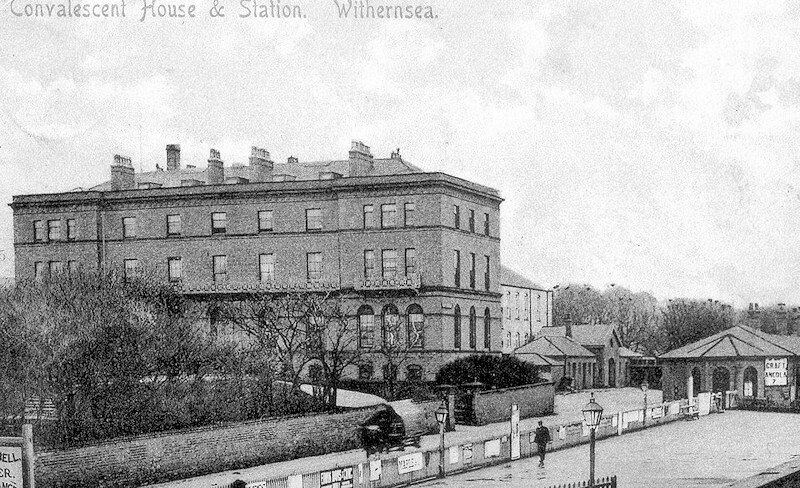 Owthorne Board School (now the Withernsea Junior School) was opened on the 22nd April 1878. Mr Joseph Sissons was appointed as the first head master and remained in charge of the school until 1913. Initially there were 2 members of staff and 103 pupils. By the turn of the century there were 5 members of staff and 265 children. The lighthouse was built during 1892 and 1893, over a period of just 18 months. It was opened on 1st March 1894, sadly too late to save the pier. The lighthouse is built of bricks and concrete in an octagonal shape, although the inside of the lighthouse is round. It stands at 120 feet high with a huge weathervane on top, and is the only lighthouse with a town between itself and the sea. The light is 113 feet above the ground and was first lit in March 1894. For 82 years the lighthouse guided ships to safety before it was finally turned off in July 1976. 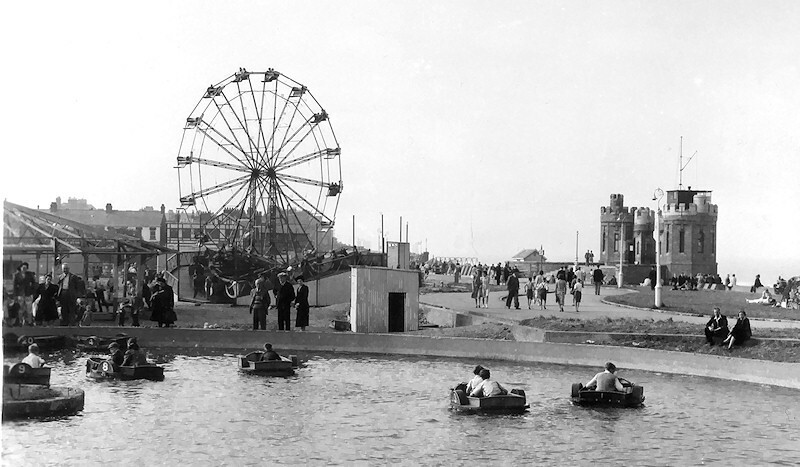 The most prominent feature of the Withernsea Pleasure Ground was the big whele, but the grounds also had a boating lake a mini railway, helter skelter, dodgems and several other rides. The open air bathing pool at the end of Lee Avenue was opened in 1911. It was built by Mr Vickers Walker and leased to the town council with the understanding that it would be used only as a swimming pool. Originally it was filled with sea water, but later this was replaced with fresh water. 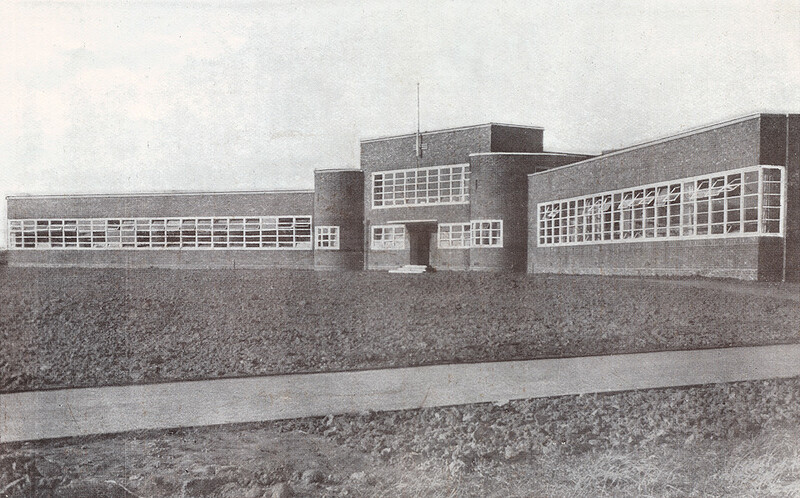 The new Withernsea Central School building opened on the 12th July 1934. The school was first opened in temporary wooden buildings on the 5th September 1921, starting off with 140 pupils and 5 members of staff. The ground surrounding the school had been used as allotments, and was initially in a pretty rough state. This is now part of Withernsea Primary School. when the line was finally shut after 110 years of use. the classic film Brighton Rock (1947). Carol Marsh as Rose and Richard Attenborough as Pinkie Brown in a scene from Brighton Rock. She was only 20 when she read for the part with the producer John Boulting and the star of the film, Richard Attenborough. As the impressionable young woman who falls for and marries the vicious small-time gangster Pinkie Brown (played by Attenborough), Carol Marsh turned in a performance of powerful pathos. The close of Graham Greene’s novel, in which Rose returns home looking forward to listening to Pinkie’s recorded “love letter”, has been called one of the great harrowing finales of 20th-century English literature. But the film differs from the book in that, when Rose plays the record, the needle “sticks” – and she hears only “I love you”, repeated over and over again. Carol Marsh was born Norma Lilian Simpson on May 10 1926 in Southgate, north London, the daughter of an architect and surveyor. She was educated at a convent school in Hammersmith where she often performed in school plays. Her first desire was to sing, and she won a £7-a-year scholarship to the Royal Academy of Music, where she studied speech and drama, with singing as a second subject. She went on to the Rank Charm School before joining Rank’s repertory company at Worthing, where her performances in As You Like It and White Heather won high praise. After Brighton Rock (for which she changed her name to Carol Marsh) she dyed her hair platinum for the title role in Alice in Wonderland (1949). In the same year she was in three comedies: Marry Me, Helter Skelter, and The Romantic Age, in which she appeared with Mai Zetterling and Petula Clark. 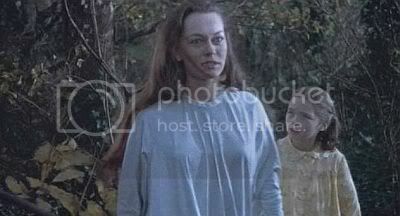 I myself first came across Carol Marsh in Dracula 1958 – a film that scared me stiff when I first saw it – but I thought she was one of the loveliest girls that I had seen – she was enchanting BUT also very frightening when she became a vampire – See pictures below :- She was the fragile, delicate, Lucy, Christopher Lee’s ill-fated victim, in the 1958 Hammer production of Dracula, the first colour version of Bram Stoker’s classic. 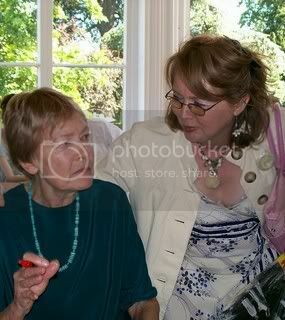 Above: Carol Marsh and Janina Faye 50 years later, still got a soft spot for Carol. 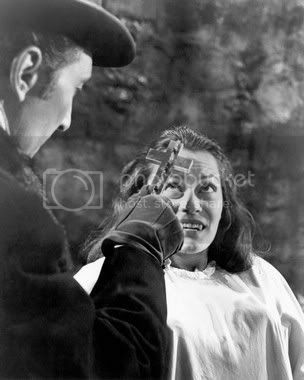 In the 1951 film of Scrooge, with Alistair Sim in the title role, Carol Marsh played the old skinflint’s sister Fan, who dies giving birth to his nephew, Fred. Carol Marsh died on March 6 2010 in London - she was unmarried.